Daniel Radcliffe ("Harry Potter") as Igor? 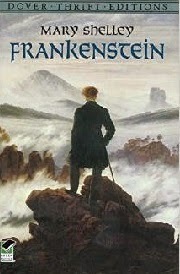 The classic tale by Mary Shelley of Victor Frankenstein's experiments with revivification from the point-of-view of young Dr. Frankenstein's lab assistant? That's the plot line of the upcoming film, Victor Frankenstein, starring James McEvoy as Victor. Anyone who thinks that Shelley's novel was just a horror story with a lurching monster needs to read the original, or at least an abridged version. Subtitled "The New Promethius" by Mary Shelley, the theme of whether humans should create life in the laboratory is at the perennial crux of science and ethics, and reading the book should help young adults get what is really going on in the movie. Another classic, J.M. Barrie's Peter Pan, the tale of the perennial adolescent protagonist, has a cinematic offering in Pan, hitting the big screens in July, this time with famous actors instead of cartoon characters. Common Sense Media's current online article previews the coming attractions of 2015, from the second installments in The Hunger Games, Divergent, and The Maze Runner to the 1990's favorite elementary read, R.L. Stine's best-selling series Goosebumps, out August 7. Even J.K. Rowling's post-Potter wizard tale, Fantastic Beasts and Where to Find Them, done by the director of the last four Potter films, hits the cineplexes in November.